The purpose of the article is twofold. Firstly, we review some recent results on the maximum likelihood estimation in the regression model of the form \(X_t = \theta G(t) + B_t\), where B is a Gaussian process, G(t) is a known function, and \(\theta \) is an unknown drift parameter. The estimation techniques for the cases of discrete-time and continuous-time observations are presented. As examples, models with fractional Brownian motion, mixed fractional Brownian motion, and sub-fractional Brownian motion are considered. Secondly, we study in detail the model with two independent fractional Brownian motions and apply the general results mentioned above to this model. The research of Yu. Mishura was funded (partially) by the Australian Government through the Australian Research Council (project number DP150102758). Yu. Mishura and K. Ralchenko acknowledge that the present research is carried through within the frame and support of the ToppForsk project nr. 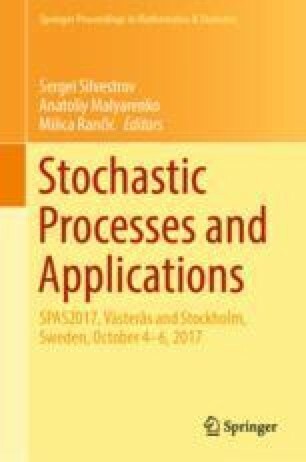 274410 of the Research Council of Norway with title STORM: Stochastics for Time-Space Risk Models.